Last night was a disaster — literally. Trea Turner broke the index finger on his right hand, and Matt Adams hurt his back as he flipped over the railing into the MGM seats. Add that to a lethargic Nationals effort in the game that ended in an 8-2 loss, and the Nats enter today’s game with a 1-3 record. The decision to pitch Max Scherzer into the 8th inning on Opening Day and 110 pitches when he had been pitching on a 6-day schedule and switch him last night to pitch on a 5-day schedule was not effective. Yes, Max only gave up one earned run, but he lasted only 5 innings and 96 pitches. Sure, the former Cy Young pitched well enough to win, but the Nats bullpen once again imploded. Tell us where you have heard that before. But it was the use of the bullpen that got manager Dave Martinez in hot water again, and Davey and general manager Mike Rizzo should get heat for the flawed strategy with pushing ace Max Scherzer so hard so early in the season. We talk about all the time how the season is a marathon, and the Nats had Scherzer sprint out of the gates. Decisions made earlier cascade. Now couple the pitching woes with Trea Turner’s injury. The speedy shortstop was already the top Nats’ player in WAR at +0.4, and his production just cannot be replaced. This puts a cloud over this team. There have already been calls to blow up the team, and we are just 4 games into the season! 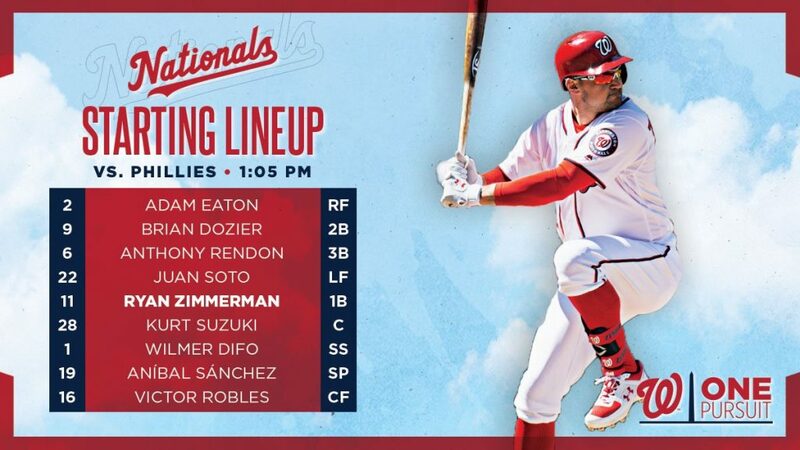 Well, here we are in the fifth game, and the Nationals number 4 pitcher will pitch out of turn this afternoon in this 2-game series with the Phillies. Anibal Sanchez will face the Phillies ace Aaron Nola. The show must go on. 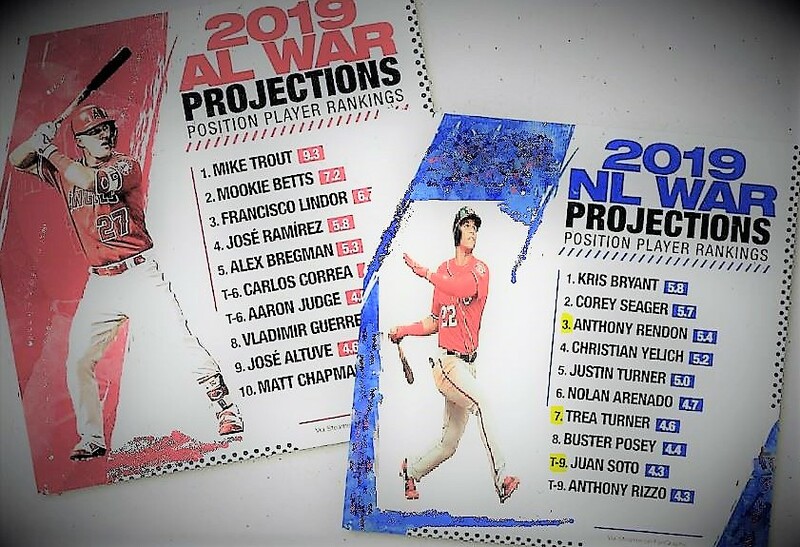 The Nationals will call up Adrian Sanchez to take Turner’s place on the roster, and they will also have to make a decision on Matt Adams also as he is listed as day-to-day.